If there is one DIY project you should skip and leave to the professionals, it would be when you decide to install carpet flooring. 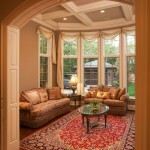 Carpet installation is a skill that our expert team at Giant Carpet Flooring Centre it well trained and experienced in. We strive to provide you as our customer completely satisfied with our service. There are many factors to consider when we install carpet flooring. Cleanliness- When tackling a big project, things can get messy fast! The excellent service that our specialists provide allows us to keep your home professionally clean. Avoid the mess and the stress when you want to install carpet flooring. Avoid Damage- It’s easy to make mistakes when tackling a project on your own. Attempting to install carpet flooring can be time-consuming and cause damage to your beautiful new carpet. Always use a professional service when installing any type of flooring. Some projects are better left to the professionals, and we have just the team! Call or visit us at Giant Carpet Flooring Centre today for your free in-home evaluation and estimate.